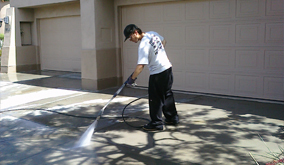 AZ Power Wash Pros is Flagstaff, Arizona's premier gutter cleaning service. We clean both the insides and outsides of gutters in Flagstaff to remove dirt and debris from gutters and have them flowing and draining properly. 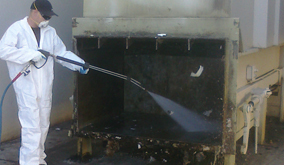 Every residential home in Flagstaff should have their gutters cleaned on an annual basis to ensure they are flowing and draining correctly before monsoon season which hits every year in Flagstaff. If you don't clean your gutters before monsoon season you risk damaging your home's gutters by clogging up the gutters drainage and shortening the life of your gutters. We clean both the insides and outsides of gutters with low pressure to remove all dirt and debris safely from the bottoms of your gutters. 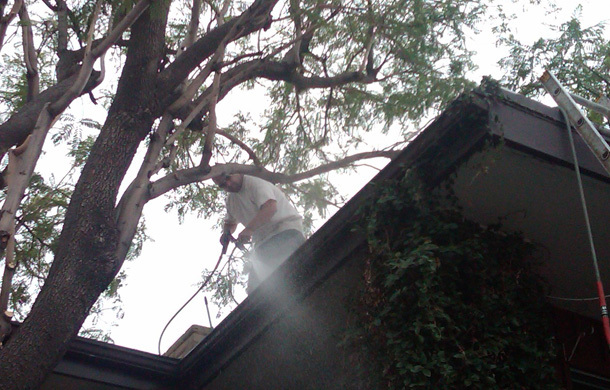 We also clean the outsides of gutter to remove black streaks and other unsightly stains. Call today for a free gutter cleaning quote! 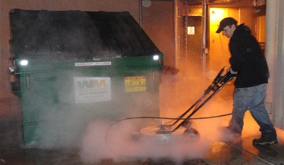 Call AZ Power Wash Pros for residential gutter cleaning services in Flagstaff, Arizona.